I’ve checked out a lot of free-to-play (or F2P if you like acronyms) games over the last year or two. At first the idea seemed kind of insane: download a game without paying a cent and play it for as long as you like, only spending money if you want to unlock extra costumes, items, or weapon parts. It wasn’t until I spent more time with some of the most popular games from the beginning of the F2P explosion that the catch of the business model became clear. I could get into matches of Super Monday Night Combat or Planetside 2 without paying a dime, sure, but, unlike full price shooters, it quickly became impossible to tell if my deaths were due to poor skills or because I was outclassed by a competitor who had opted to spend real money on powerful gun and item upgrades. The F2P model, as fascinating as it is, falls apart more often than not for this very reason. When we play competitive games we want to know that our ability to win or lose is based entirely on our own skills (or lack thereof). Being able to buy an advantage—whether it’s a stronger weapon or equipment that boosts player attributes—calls talent into question. How can you tell if you’re any good at something if your opponent may be able to win simply by spending more money than you? While messing about in a F2P game is still a valid way to play games without having to plunk down the $60 for a traditional retail title, the “pay-to-win” design philosophy has become dominant enough in the genre that it’s hard to get too invested in anything that belongs to it. I’d all but given up on F2P by the time I started to hear about Edge of Reality’s Loadout, a title that supposedly bucks the worst of its peers’ trends. Fortunately, I gave the game a shot and was happily surprised to discover that Loadout is not only a lot of fun, but also a great example of how F2P can be done right. Edge of Reality have created a third-person shooter with colourful visuals, a questionable sense of humour, and, most importantly, multiplayer competition that relies on its players’ abilities instead of their willingness to spend. 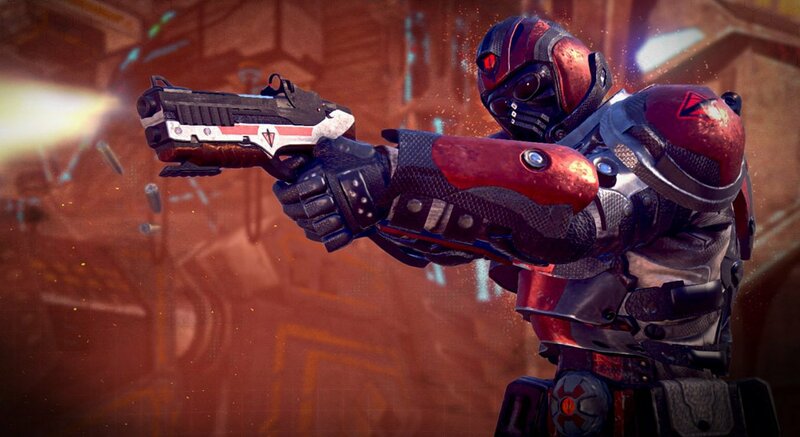 Matches are predicated on skill, the competitors getting kills and earning experience points because they’re good at the controls, understand the layout of the multiplayer maps, or willing to work well with their teammates. It’s possible to spend money in Loadout, but real currency only buys costumes for the playable characters or speeds up the item unlocking process that everyone progresses through regardless of whether or not they choose to pay for the game. Basically, there are ways to buy an enhanced experience in Loadout, even though the game itself remains competitively viable for every type of player. Even if someone spends $30 on in-game equipment, the only advantage they enjoy is quicker access to the same advanced items that a bit of time will unlock regardless. It’s rare to find a developer that is both willing and able to stand behind the quality of their game when it’s released as a free-to-play product in this way. 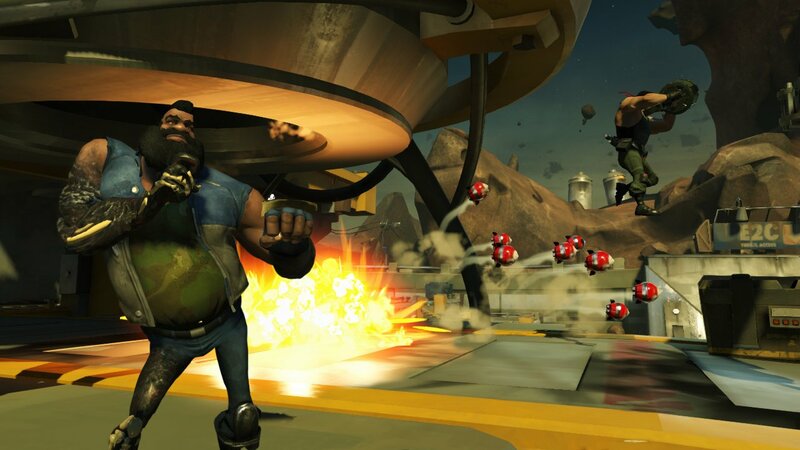 Notable successes like Valve’s Dota 2 and Riot Games’ League of Legends are obvious exceptions, but, until Loadout, I’d started to give up on the idea of F2P multiplayer shooters all together. There is a sense of confidence inherent to a game that knows it is fun enough to keep players engaged without asking them for money just to compete. Edge of Reality seems to understand that its game is of a high enough level of quality that those who enjoy spending time with it will want to purchase cosmetic upgrades for their characters. 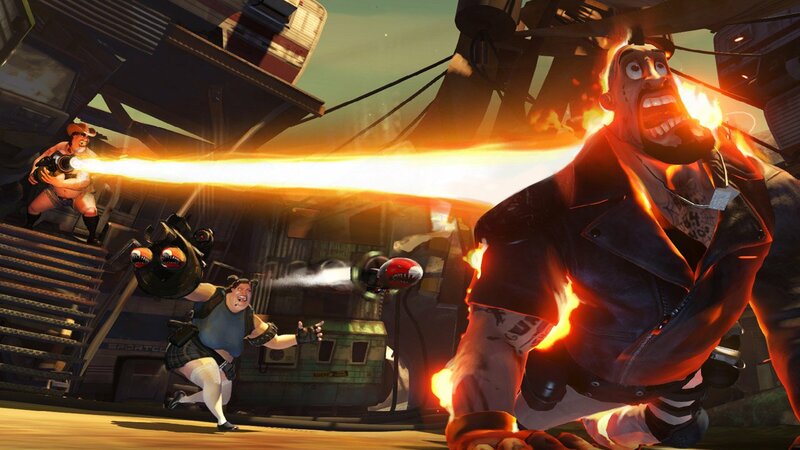 In this way, Loadout is a lot more like a full-price title that includes optional downloadable content for those already invested in the original experience. It’s heartening to see the F2P model work this way, not as a cynical business move meant to bleed dollars from those who simply want to compete, but as a release strategy that serves to augment already engaging game design.